Face Maker is a new Android Wear app that allows you make custom watch faces for your Moto 360 2, the LG Watch Urbane and any other Google OS running smartwatch. Now before you tell us that this is not the first app to let you do this, this is an app that does it with a difference. Unlike the majority of software designed to personalise Android Wear watch faces, which require desktop or web applications to do it, Face Maker let's you create them from the smartwatch. The app has been developed by London based design company Ustwo. If you're not familiar with the name, this is the outfit that helped design a certain iOS blockbuster game by the name of Monument Valley. Ustwo also helped to design the official Google Cardboard app and made Land's End, one of our favourite early Gear VR games. 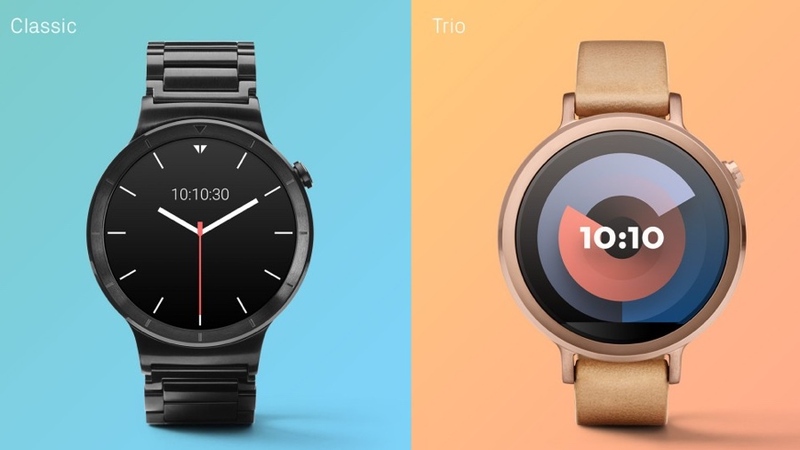 Now it's turning its attention to bringing some personality to Android Wear smartwatches. With an emphasis on personalisation as opposed to customisation, Face Maker starts off with one of two base designs, Classic or Trio. From there you can then adjust the colours, hand, numerals with swipes and taps. According to Ustwo, there's the possibility of 2,800 designs with plans to add more in the future. Speaking to Fast Code Design, Ustwo product designer Shaun Tollerton explained why it's making Face Maker. He mentioned the fact that the worst Android Wear watch faces are often overcrowded or not glanceable enough to find info quickly on the go. Ustwo is not alone in thinking Android Wear watch faces need some love. Back in December last year, Google introduced a collection of fashionable Android Wear faces from the likes of Ted Baker, Mango and Nicole Miller. Any help Android Wear can get to make its smartwatches more desirable is definitely all good with us. If you want to try out the Face Maker app, it's available on the Google Play Store now for free and you can download it here.